The Easiest way to Send Balikbayan Cargo Box to the Philippines with Forex Cargo Australia. 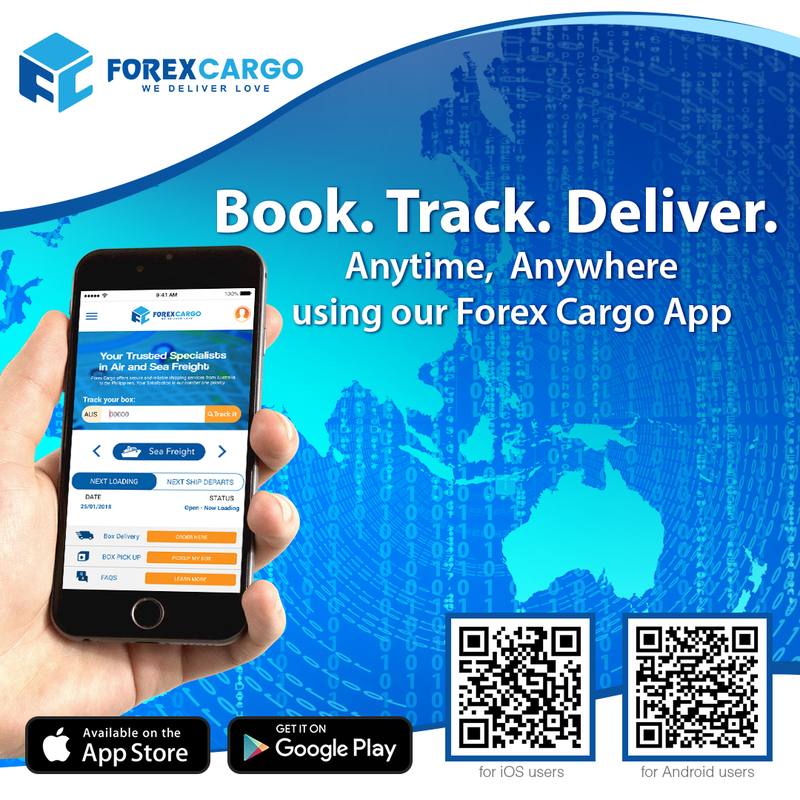 The Forex Cargo Australia Mobile App. is a revolutionary way to pickup & deliver your cargo, merchandise and goods to your loved-ones in the Philippines. The Forex Cargo Australia Mobile App is a full service on-demand freight and logistics provider at the tip of your fingers. Use our mobile app to book and manage pickups and deliveries via your Mobile over the internet. Available Now via on Android and IOS Devices. Steps on how to download and install the Forex Cargo Australia Mobile Application. For more info you call us at +61 2 87770000 or email customercare@forexcargo.com.au.